It's the season for spring-cleaning your closet—a sometimes tedious but important chore that, if you play your cards right, could earn you some extra cash. One of the best (and sometimes easiest) ways to sell your unwanted clothing is to list it on eBay. But we understand that sifting through piles of unwanted dresses, shirts, handbags, and shoes can be a daunting task, especially because it's not 100% certain that your item will even sell. 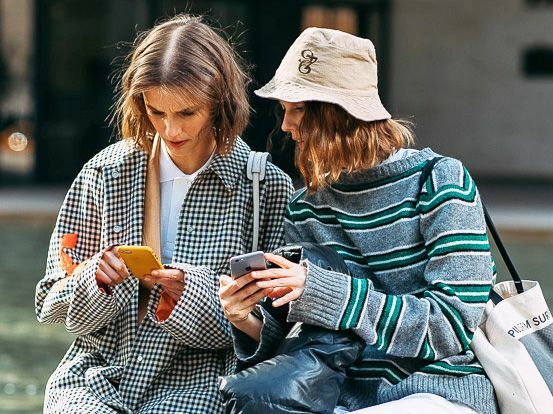 Enter new data released by eBay that details the top pieces people are scooping up on the site right now—i.e., these are the items you should pluck from your pile and list on eBay. According to the eBay data, warm-weather items are selling exceptionally well. This means that people are gravitating toward sunglasses, sandals, maxi dresses, and even one-piece swimsuits (and frankly, we can't blame them). Specifically, since the beginning of 2018, there have been over 1.6 million searches for sunglasses, and sandals have outsold boots eightfold. While we know that items on eBay oftentimes sell lightning fast, the report detailed just how quickly certain pieces are purchased. A handbag, for example, is scooped up every 11 seconds, women's shoes are sold every six seconds, and a watch is purchased every five seconds. Now that really puts things into perspective, doesn't it?